Over in classifieds I am advertising a Bacchus BST 62. I have decided to lower the price on this Bacchus, and offer it for 650 pounds shipped within the UK, and for 700 shipped to USA or Europe. PM or vidisson@gmail.com if you are interested. Yeh - this one's now mine!!! Just got to wait until Christmas! You're gonna love it. Do you have a Bacchus strat yet? No I don't have a strat yet. Just a tele and P90 LP. I've played a few at the convention so I'm really looking forward to it. 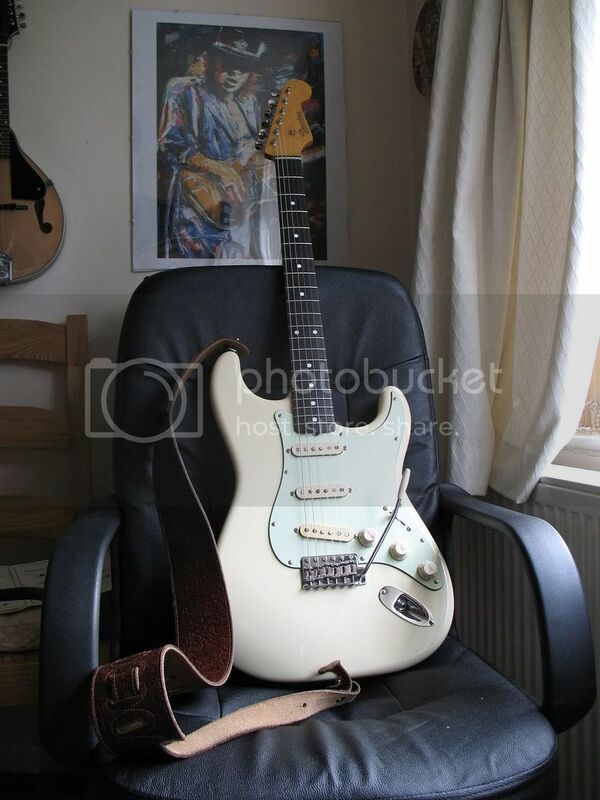 Vintage white, with a rosewood board and mint green pickguard are also my favourite wood and colours combinations! Well, you'll be needing an SG now! That might just be worth a divorce!! bst62 is fantastic guitar, I have one and you'll love it. If I wouldn't buy John's BST57, I'll definitelly go for 62.